PreSchool-Grade 1�CGilbert, a hedgehog, is excited but fearful about starting first grade. He walks to school with his friend, Patti, who is quickly drawn to another female student. As the teacher passes out the spelling and reading books, Gilbert decides that, …first grade was going to be hard! Besides, there are so many rules to remember. At lunchtime, he sits alone, but Mrs. Byrd puts Frank, a raccoon, next to him, and the two boys find that they have a lot in common. As the students pursue various activities, Gilbert discovers that they all have their own talents, and that no one is good at everything. 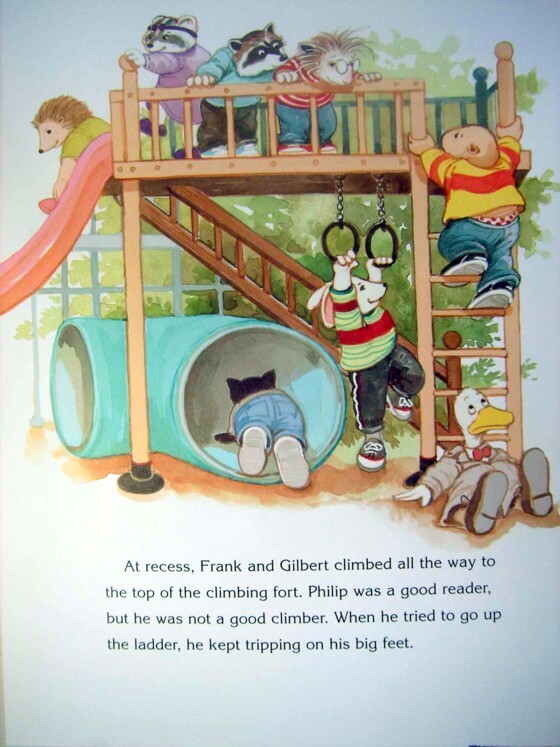 On the way home, Gilbert and Patti agree that Mrs. Byrd is nice and that they have both made new friends, although Patti reassures Gilbert that he is still her friend. With its charming, detailed watercolor illustrations, this story has significant child appeal. Youngsters entering kindergarten or first grade would enjoy listening to it and perusing the realistically styled pictures either one-on-one or in a group. A useful addition, but not a first purchase. 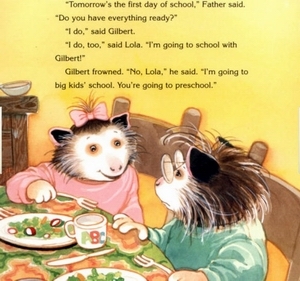 Gilbert is getting ready to go to first grade. He is very worried about a lot of things. He's worried that his teacher won't be nice. He wonders if he will get into trouble for not eating all his lunch. As the day goes by he finds out that as long as he follows that rules that he teach has things will be fine. He even learns to read better and is able to read to his younger sister. What did you like or not like about the book? Children everywhere will identify with his sorrow when the day doesn't go as planned, and will also feel relief when everything turns out all right in the end. 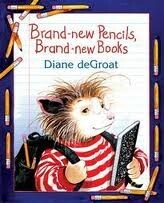 I would recommend this book to kids who are going to first grade. They might have some of the same feelings that the main character in the book has. 这本书很好看的. 是GILBERT AND FRIENDS系列的. BILBERT是什么动物呢? 看上去象小刺猬吧? 宝宝觉得很奇怪, 小刺猬怎么还穿着衣服呢? 小刺猬身上的刺不是把衣服都扎坏了吗? 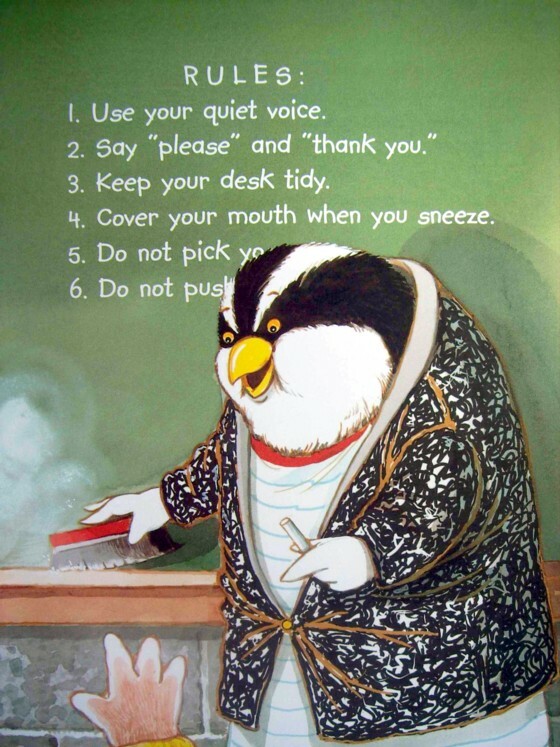 GILBERT第一天去上学, 妹妹第一天去上学前班, 虽然两个小朋友都很累, 但是都交到了新朋友. 小刺猬兄妹晚上和爸爸妈妈一起出去吃冰激凌, 庆祝第一天上学, 结果碰到各自的新朋友也是一对兄妹( 看上去象狐狸).